Internet of things (IoT) has emerged as a natural evolution of environmental sensing systems such as wireless sensor networks (WSNs). Wireless sensor nodes being resource constrained in terms of limited energy supply through batteries, the communication overhead and power consumption are the most important issues for WSNs design. The sensor nodes have non-replaceable battery with limited amount of energy, which determines the sensor node’s life as well as network lifetime. A key challenge in the design as well as during the operation of WSNs is the extension of the network lifetime even in harsh environment. 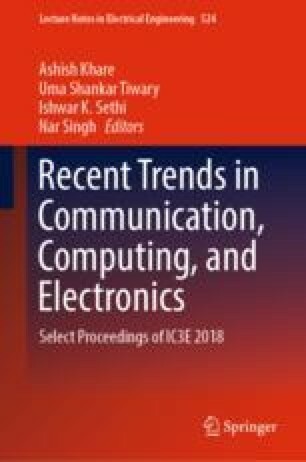 This paper presents a review on various data aggregation techniques to reduce redundancy and proposes an approach for redundancy elimination during data aggregation exploiting support vector machine (SVM) so that network lifetime can be prolonged during communication of information from sensor nodes to base station. The proposed approach is simulated, and the results are analyzed in terms of average packet delivery ratio, average residual energy, accuracy, and aggregation gain ratio with state-of-the-art techniques. White paper. http://www.iec.ch/whitepaper/pdf/iecWP-internetofthings-LR-en.pdf; July 31, 2014.